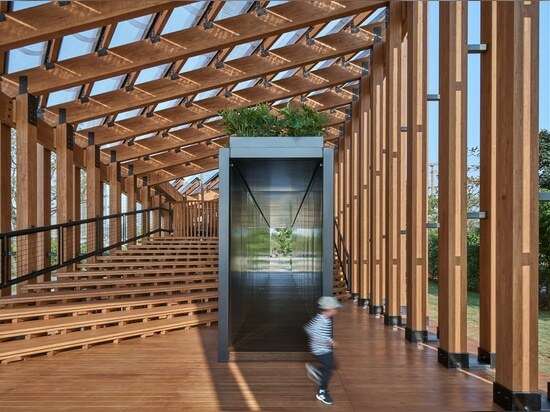 Just as the process of growing trees requires good soil, so the process of growing culture requires a strong foundation of collective memories of the city. 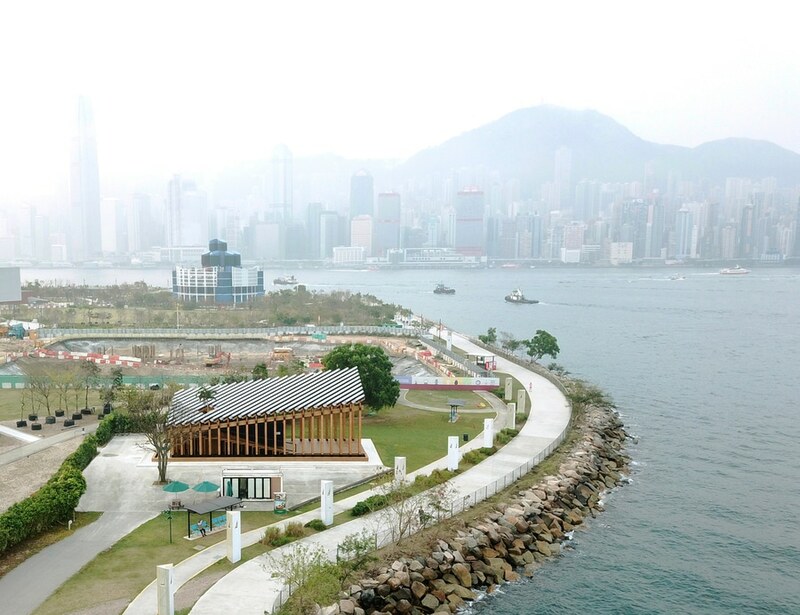 Growing Up captures everyday elements fundamental to Hong Kong, embedding and cultivating them within the fabric of soon-to-be major arts and cultural center. 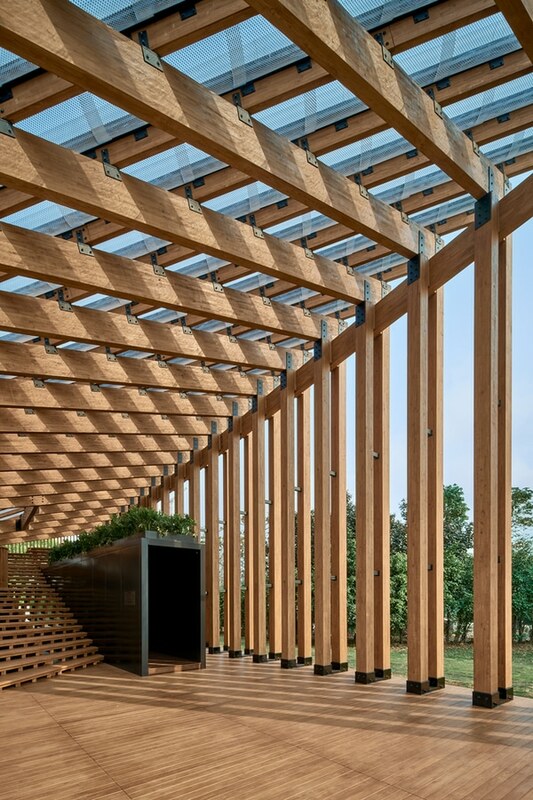 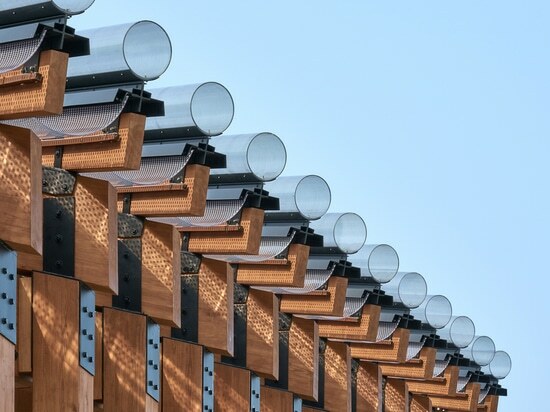 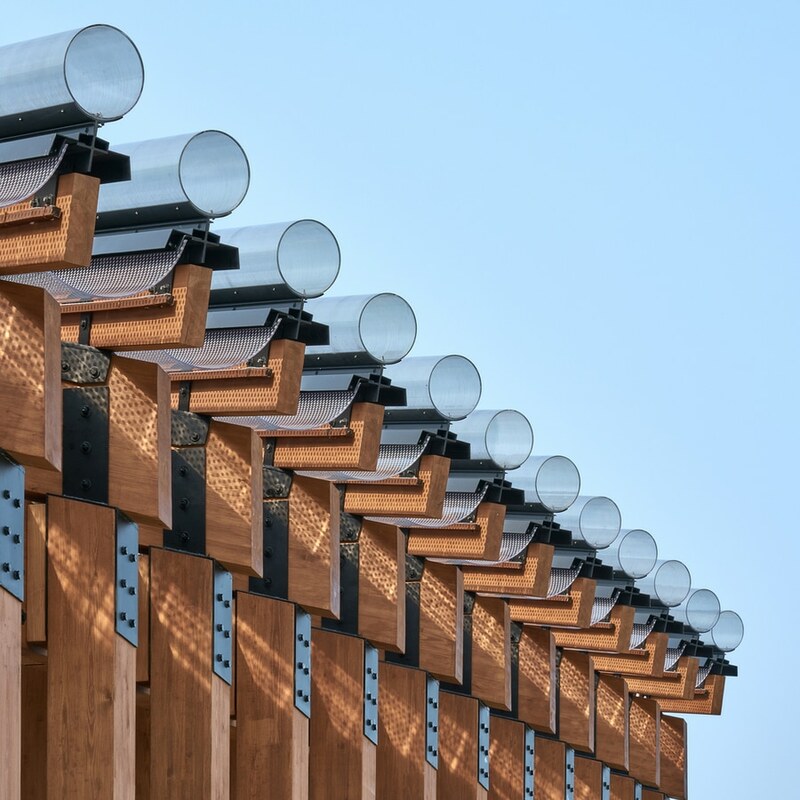 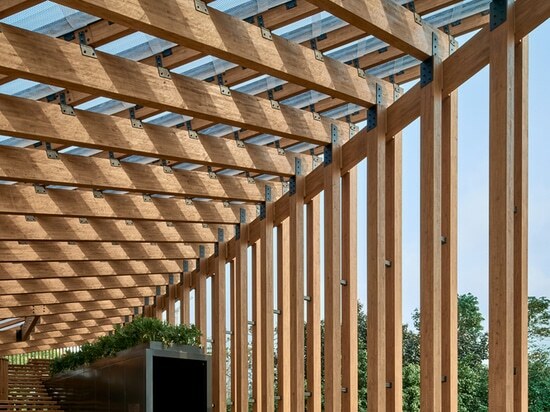 A large sloped roof is supported by a series of timber columns that, like the seedlings in the adjacent nursery park, grow from an intimate human scale to the harbor scale. 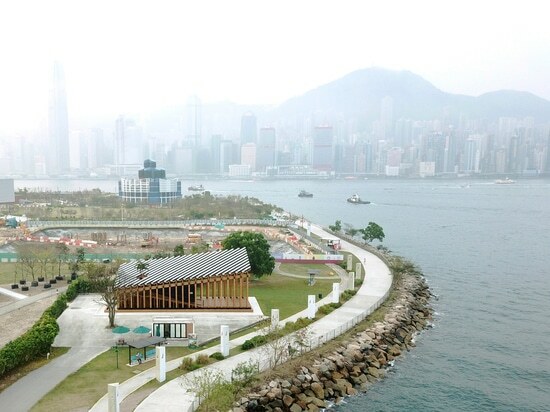 A stepped landscape below, reminiscent of the city’s hilly topography, provides both seating and stage for different activities.“The design process was really an exercise in close observation of things around us, and how to lend significance to various elements that comprise the city - steps, walkways, the way different roofs shed rainwater, palm trees,” said Ms. Evelyn Ting, Co-founder of New Office Works. 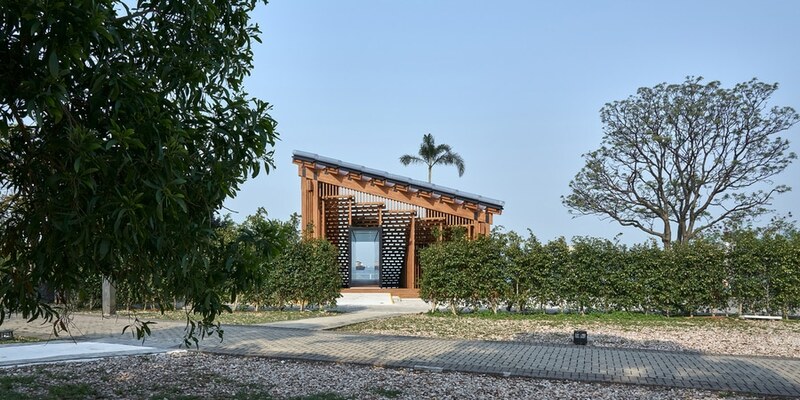 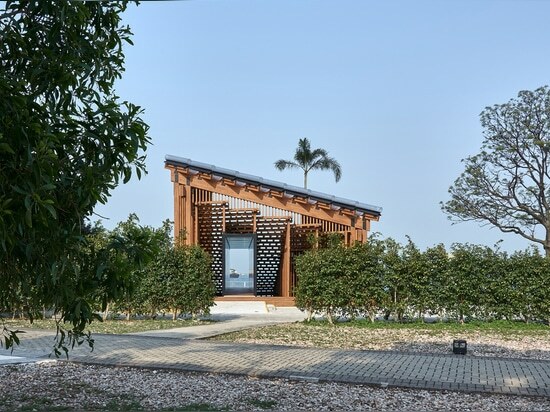 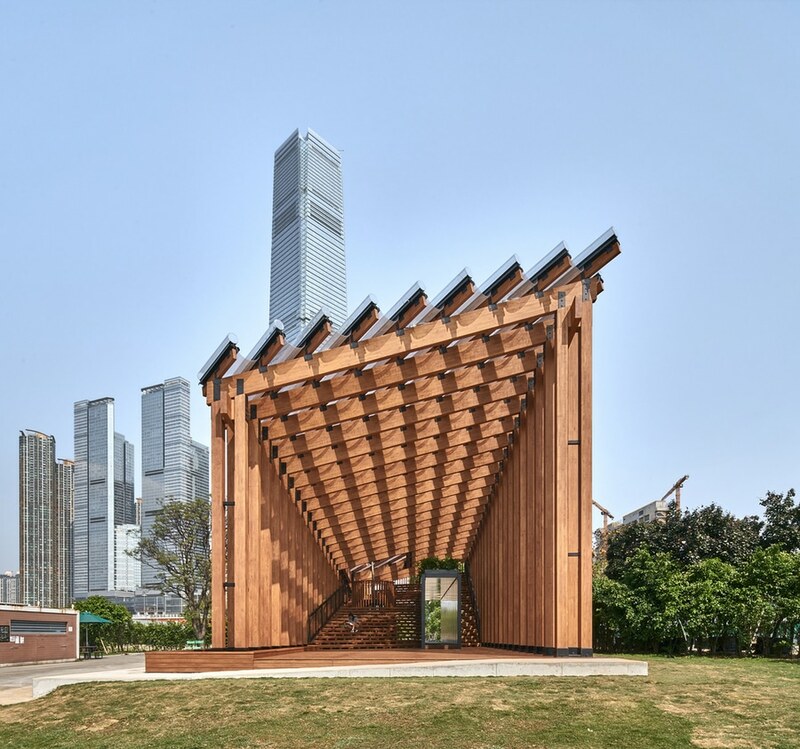 Despite its simple volume, each angle of the pavilion reveals a different sense of porosity, materiality, and scale. 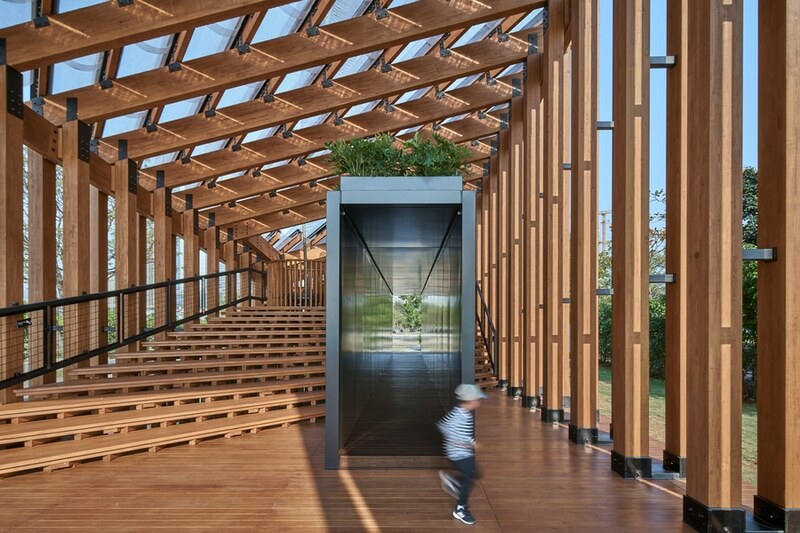 The north and south elevations are characterized by transparency, the surrounding trees a seamless backdrop between the pavilion’s slender columns. 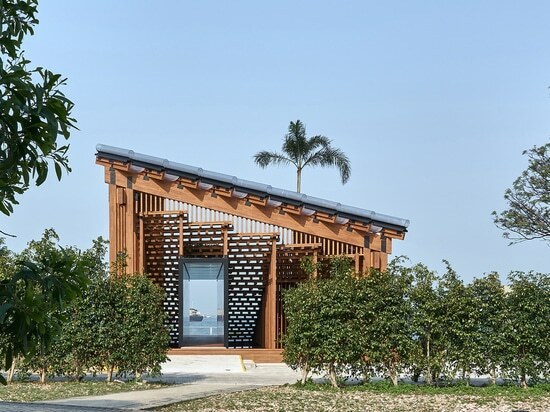 However, as one move around and the columns overlap in perspective, the pavilion edge becomes more solid and frames the waterfront view. 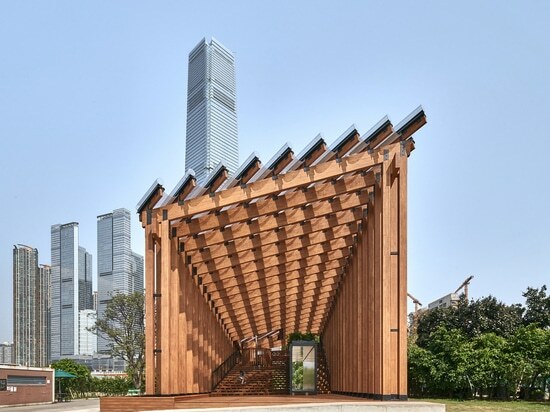 The pavilion appears the densest from the east, the structure of the steps forming an intricate screen to accentuate the transition from park to the waterfront. In contrast, an open gathering space and distinct profile emerge from the harbor.